The Sri Lankan leopard is one of currently eight recognized subspecies of leopard, the smallest of the ‘big cats’. Leopards have lithe, elongated bodies supported on relatively stocky legs and broad paws. Sri Lankan leopards are generally larger in size than their relatives elsewhere. As with other leopards, the coat is a tawny or rusty yellow, marked with the dark spots and rosettes so characteristic of this species; individual markings are unique. Observations have revealed, that these leopards may be more social than subspecies elsewhere, with records of entire families seen together. This behavior may be due to the constraints in the size of home ranges that is available on the island. Larger males have known to hold territories like their cousins elsewhere, with smaller males moving constantly to avoid confrontation with their much larger counter parts. The Lankan Leopards have also been known to tackle bigger prey including almost full-grown buffaloes. 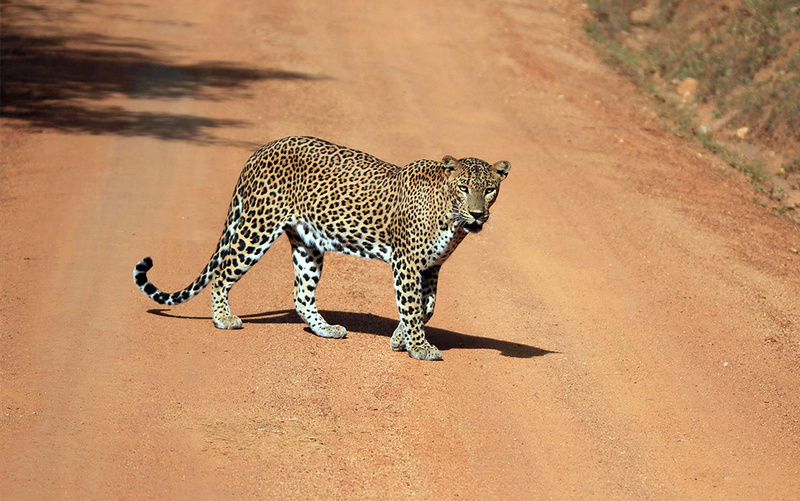 These intriguing differences may reflect the Sri Lankan leopard’s unique position at the top of the food chain; leopards in other areas are superseded by the larger lions and tigers. Leopards tend to stalk and ambush their prey and are opportunistic hunters, taking a wide range of prey and readily scavenging carcasses. In Yala National Park, spotted deer appear to make up a majority of their diet. 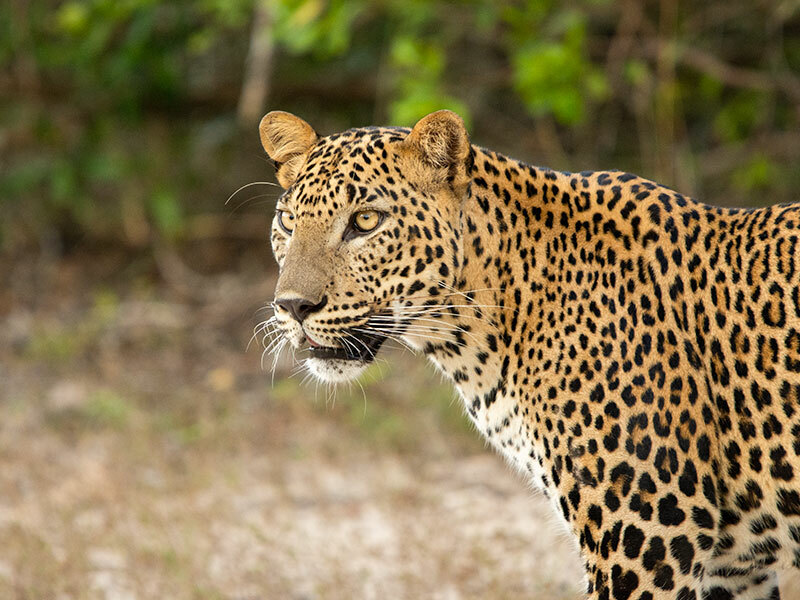 Yala National park and the Wilpattu National park are regarded as the best National Parks for Leopard sightings with the Yala National Park having the highest density of leopards in the world, make it an excellent place to photograph these charismatic cats. You would have the best chances of spotting these bravura big cats during the months Mid May to End August during the dry season where they frequent the drying water holes. So, to know more about photographic safari’s to capture these cats on film don’t hesitate to contact us.